Set your entire wedding day to music with the help of this comprehensive wedding music guide, which covers all the music you'll need from the ceremony to the reception. 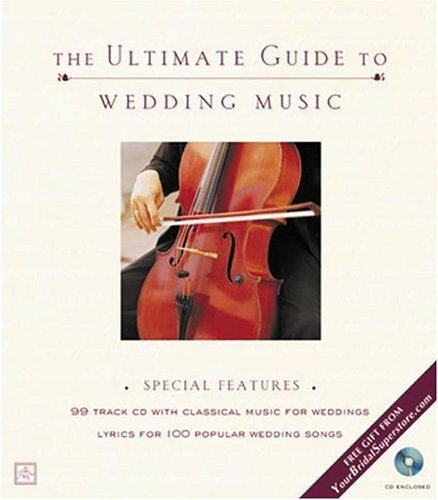 You'll find a CD with excerpts from a wide variety of popular classical wedding pieces, song lyrics, titles galore, artists, albums and plenty of advice on choosing your music, musicians and/or DJ. Helpful worksheets are included to make the task even easier.